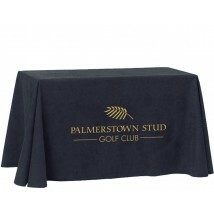 An affordable and stylish way to add an edge to your branding at events, custom printed tablecloths are an ever popular way of driving more attention to your stand. 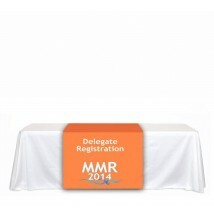 Here at Discount Displays, we have a great range of custom printed table throws and table runners to add another dimension to your display. 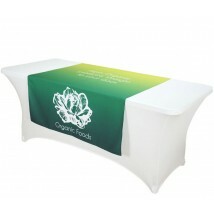 Often seen at school fetes, open days careers fairs and exhibitions, table covers have become a must-have item! 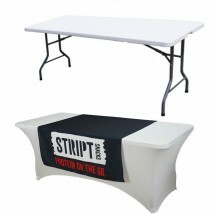 The ultimate finishing touch to any exhibition stand, our range includes everything from cheap table runners and affordable logo cloths to full dye-sublimation printed cloths which are fully customisable. 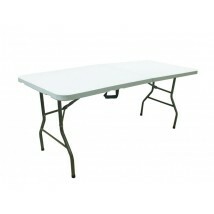 We also have a range of lightweight yet sturdy folding event tables to finish the look. Ideal for tradeshows, university fairs, open days and more, they are a cost-effective way to add a professional branding element to your displays. 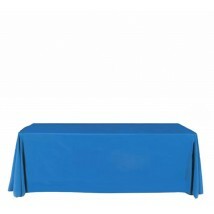 It takes about 3-5 days from receipt of your logo to despatch you printed tablecloth. 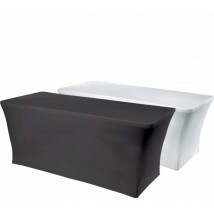 If you're in a rush printed PVC runners can be available next day with the added advantage of being a wipe-clean surface. 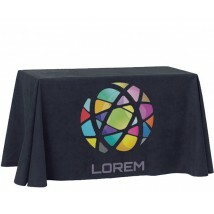 We print your promotional tablecloths using only the latest state of the art digital printing equipment. 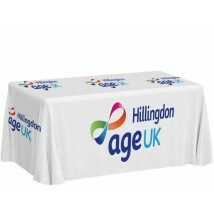 The economy range of custom printed table cloths have a heat transferred vinyl (up to a maximum 350mm x 900mm) printed onto a choice of 28 standard pre-coloured tablecloths. 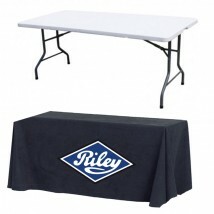 Our full printed personalised table cloths, whether they are 4ft, 5ft or 6ft, start off as plain white material and both the background and images are printed with dye print process for unlimited cloth colours and print colours. The result is vivid colours and a very durable tablecloth as the print is dyed into the tablecloth fabric under heat and pressure. Unlike most companies, we print using 8 colour presses which means we can match the widest range of colours accurately to produce a much wider colour gamut than standard 4 colour CMYK printing. 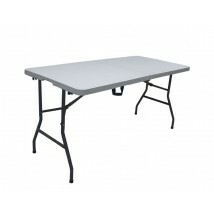 As with all Discount Displays printed products we provide a FREE artwork check before printing your tablecloth to ensure your graphics always look their best. 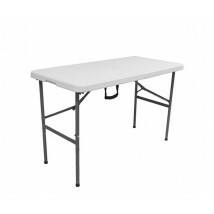 How to care for you printed tablecloth.